Homeschooled students can stand out in all of the same ways that traditional students can, but you just have to be a little more diligent in accounting for it. Here are some suggestions for developing a resume or transcript that really stands out. These suggestions apply to everyone, not just homeschooled students. 1. Academics – Many homeschool students will need to create their own “transcript” to show colleges what they have studied. Take time to present your coursework in detail– list experiences, travels, books read, etc. A student I advised this year was working on a research project at a local hospital, an in-depth project ideal for the homeschool student. 2. Activities — Another way homeschooled students can stand out is in their activities. It doesn’t have to be a school activity. You don’t have to be a member of a school club. With greater flexibility of schedule, homeschoolers and can participate in activities requiring a significant time commitment. I’ve known some students who homeschooled so that they could pursue high-level competition in sports such as gymnastics, golf, or tennis, but your activity could incorporate your talents in music, the arts, or any field of your choice. 3. Service & Leadership – We need service and leadership in every community! Homeschool students have the unique ability to contribute because they are often available when other students are in school. Whether you choose to incorporate opportunities into your curriculum or take advantage of your ability to participate in activities scheduled during the traditional school day, you can stand out for your dedication to service or your leadership. All students should take advantage of the opportunities on college applications to explain meaningful activities and elaborate on unique educational opportunities. 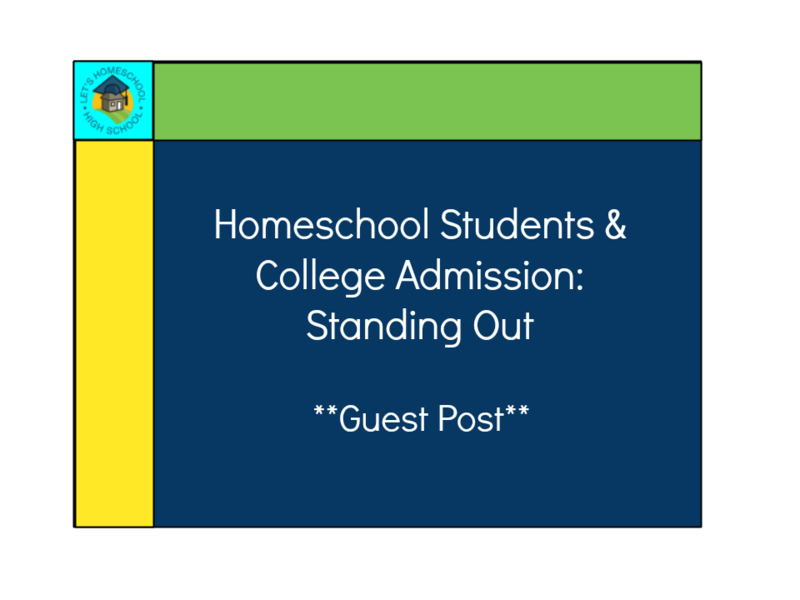 Homeschool students may need to spend extra time and effort on applications to make sure all their academics, activities, service, and leadership stand out.